Tom Wong, a graduate student in physics and David Meyer, professor of mathematics at the University of California, San Diego, have proposed a new algorithm for quantum computing, that will speed up unstructured search. The goal is to locate a particular item within an unsorted pile of data. Solving this problem on a classical computer, which uses 1s and 0s stored on magnetic media, is akin to flipping through a deck of cards, one by one, Wong said. Searching through a large data set could take a very long time. 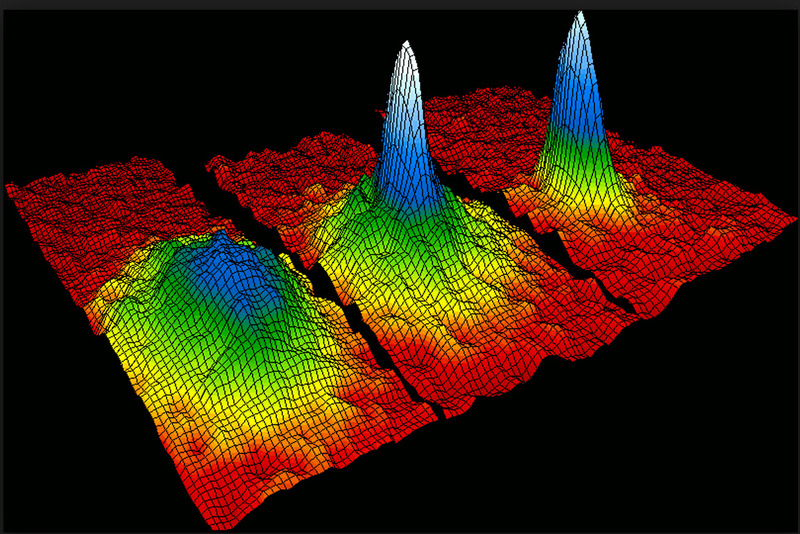 The equation usually used to describe quantum systems is linear, but the one that approximates the state of a Bose-Einstein condensate has a term that is cubed. They propose computing with this cubic equation, which will more rapidly converge on the answer. For example, their algorithm can be made to search for a particular item among a million items in the same time it would take to search among ten items. This work was partially supported by the Defense Advanced Research Projects Agency (DARPA) as part of the Quantum Entanglement Science and Technology program and the Air Force Office of Scientific Research as part of the Transformational Computing in Aerospace Science and Engineering Initiative.